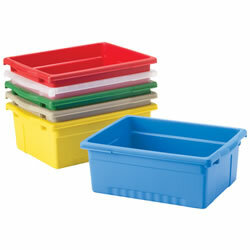 Keep children organized with Kaplan's extensive collection of bins, baskets, and caddies. 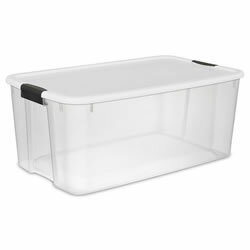 With a variety of tubs, easels, trays, and storage containers also available, children can easily identify the items they need and store them properly once finished. 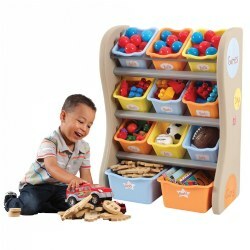 Whether you’re storing toys, snacks, crayons, or decorations, our expansive selection has something to help every teacher keep their daycare or classroom organized, including outdoor spaces. Shop our bins and organizers today and help keep your space clutter-free. These award-winning stackable storage trays from Europe have set the standard internationally for sturdiness and child-friendliness. The rigid plastic stands up to years of hard use. 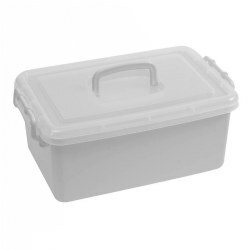 16 3/4"L x 12 1/4"W x 12"D. Lid sold separately. Stay organized and make labeling easy with this set of five basket clips. Baskets sold separately. 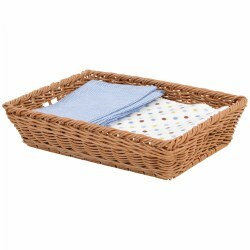 Warm and attractive baskets offer an additional storage option for the lockers. Baskets may also be used throughout the room for varying activities or storing materials such as manipulatives and art accessories. 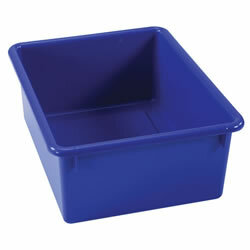 Measures 3"H x 12"L x 8"W.
This square divided tray is great for organizing and dividing manipulatives. Measures 2"H x 9"L x 9"W. Woven plastic wicker. 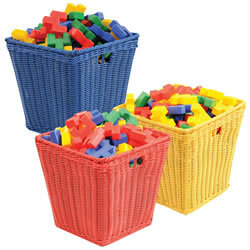 Add a homelike feel to your classroom with this woven, easy to clean, textured basket. 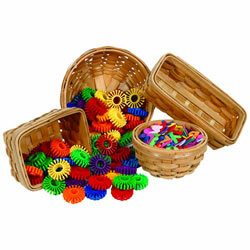 Children will help straighten up the classroom when each manipulative has its own basket. One small basket. Measures 5"H x 12"L x 8"W. Colors match the Nature Color Furniture Line. Contents not included. 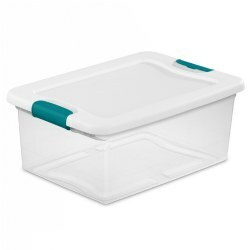 The 30 Quart Ultra Storage Box features features durable latches that attach the lid securely to the base to ensure that contents remain secure when stored. The see-through base allows contents to be easily identified, and multiple bases are able to stack on top of each other. 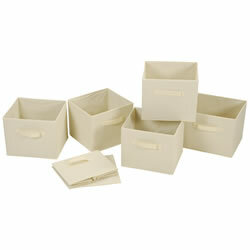 This latch storage box is ideal for storing small items. Measures: 12 1/4"H x 18 1/4"L x 12 1/4"W.
Keeping everything organized will help children find what they are looking for instantly. Can store many different essentials to make learning fun. Includes a handle so it can be moved from place to place easily on a moment's notice. 6"H x 9 3/4" W x 10"L. Kaplan Exclusive. The 116 Quart Ultra Storage Box features durable latches that attach the lid securely to the base to ensure that contents remain secure when stored. The see-through base allows contents to be easily identified, and multiple bases are able to stack on top of each other. This latch storage box is ideal for storing large and bulky items. 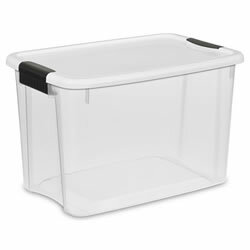 Measures: 14 3/4"H x 33 1/4"L x 20 1/4"W.
A simple, economical way to get things organized with these stackable, space-saving storage bins. See what's inside without removing the white snap-on lid. Latch color may vary. 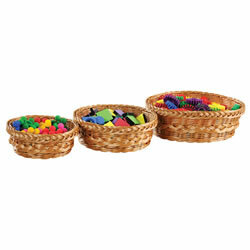 Four brown woven baskets are perfect to store manipulatives in and add a home feel to your classroom. 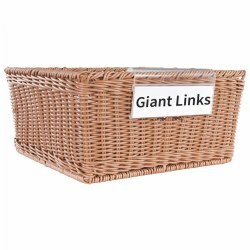 The set consists of 2 round baskets that measure 3"H x 7"D and 4"H x 10"D, and 2 rectangle baskets that measure 3"H x 11"L x 5"W and 3"H x 8"L x 6"W. Contents not included. 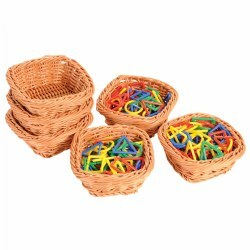 This set of 3 nesting rectangle baskets are perfect for books or manipulatives. They come with handles on the sides for easy carrying. They nest inside of each other and the smallest is 4"H x 12"L x 10"W and the largest one measures 6"H x 14"L x 12"W.
Set of 3 hand woven round nesting baskets blend in nicely with your classroom furniture. 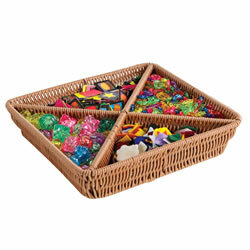 They are useful for storing manipulatives and small items. Each basket measures 3" deep and measure 8", 10" and 12" in diameter. Woven plastic wicker. Contents not included. 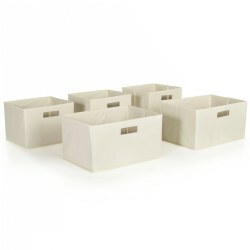 Foldable beige colored baskets set provides attractive, lightweight solution to many storage needs with side handles for easy carrying. 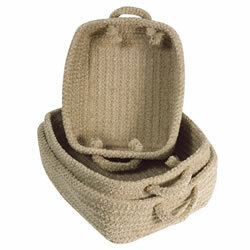 Each basket measures 9"H x 10"L x 11"W. Surface wash. Set of 6 baskets. 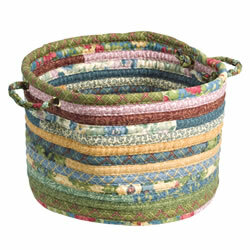 Add a homelike feel to your classroom with this woven, easy to clean, textured basket. 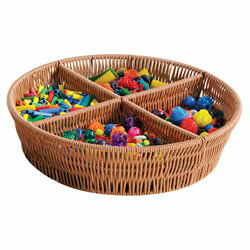 Children will help straighten up the classroom when each manipulative has its own basket. One medium basket. Measures 10"H x 10"L x 10"W. Colors match the Nature Color Furniture Line. Contents not included. 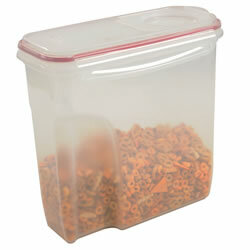 Large stackable bin features colorful locktight handles and a clear top for easy viewing. 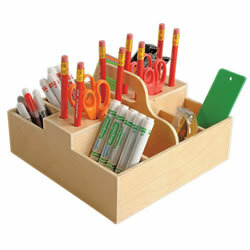 Stay organized by storing toys, art supplies or classroom essentials. Smooth sides are great for labeling. Bin measures 6 1/4"H x 9 1/4"W x 14 1/2"L.
Foldable basket set provides an attractive, lightweight solution to many storage needs. Three small bins measure 6 1/2"H x 9"L x 8"W and two large bins measure 6 1/2"H x 13"L x 9"W. Contents not included. 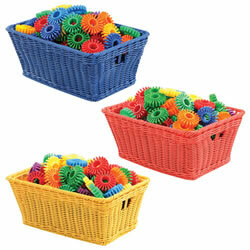 Bring warmth and comfort to your classroom with our matching baskets. Chose from two different sizes and they are large enough to hold manipulatives and to keep your shelves organized. To clean, machine wash, cold water, lay flat to dry. Available in two sizes: small 14" x 10" and large 18" x 12". 2 years & up. 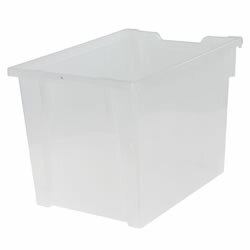 This organizer offers two sizes of storage bins for all kinds of storage needs. Safety wall anchor is included. 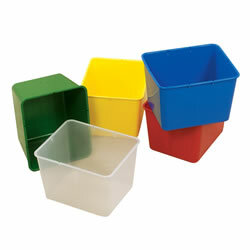 All bins detach for easy and portable cleanup, and all surfaces are easy clean. Measures 35"H x 26 1/2"W x 14"D. Contents not included.